Thanksgiving is a beautiful, festive holiday where you get to share a festive time with your cherished ones. It’s a day all about giving thanks! It is also a holiday filled with squash soup, turkey with stuffing, cranberry sauce, mashed potatoes, green bean casserole, glazed carrots, cornbread and sweet pumpkin pie. There is also an array of other beautifully delicious meals that you cannot not eat and it surely is a day of year that everyone looks forward to. Yup, it is joyous - except for the extra dose of fat deposits this day disperses to our stomachs, thighs and butts! Days after thanksgiving you will still feel a bit heavier and bloated and possibly have put on a pound or 4 on the scale. Time to repair the damage!! Ok, so you have put your body through a lot (as enjoyable as it was) but now have to get back to real life and take care of that beautiful bod’! What to do? Well you have a few options to lose that extra weight and it all depends on what you are willing to do and the amount of discipline you have. Let’s start! There are fantastic supplements on the market that are really great at suppressing the appetite, boosting the metabolism and burning fat such as Garcinia Cambogia. Garcinia Cambogia is a tropical fruit also known as the Malabar tamarind. It apparently also has positive effects on blood sugar as well as cholesterol levels. The active ingredient found in the fruit’s rind, hydroxycitric acid (HCA) is what boosts fat burning and suppresses the appetite. 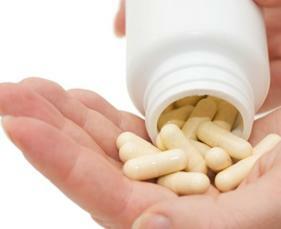 What it does exactly is blocks an enzyme called citrate lyase, which the body uses to make fat. It also actually raises the level of serotonin in your brain making you feel happier and feel less hungry. Research different manufacturers to find the leaders in the weight loss and health supplement industry today who have conducted deep scientific-backed research for all their products. For this just start walking half an hour every day. That’s all you need to start getting your inner “fitness” engine going. Eventually after a month or two move it up to 45 minutes and eventually an hour. 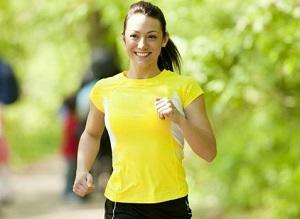 If you have the strength and are fit enough you can even start jogging or running. Just don’t push yourself too much if it doesn’t feel right for your body. Playing with the kids is also a great way of keeping in shape. Just simply lifting and doing regular chores around the house, all the cleaning up and washing of the clothes burns off those extra pounds. Running after the kids is a great way to lose weight as well. Everyone knows the easiest way to pile on the extra kilos is to consume carbohydrates - especially carbohydrates containing a lot of fat and sugar such as doughnuts. Stick to lean proteins, whole wheat breads and vegetables and fruit and your body will start changing shape. Thanksgiving truly is a day to look forward to but don’t forget to give thanks to your body afterwards by treating it well and giving it what it needs to stay healthy and in shape! Jane was born into a large family, so she always figured that she would have many children of her own. And she did - she is the proud mom to 5 children (4 girls and one very lucky boy!). She has an incredibly supportive husband and has been able to juggle the joys of motherhood alongside her passion for writing. She is a self taught blogging enthusiast and loves nothing other than to share her tips, ideas and experience. When she has some spare time, she loves kite surfing, cooking and hiking.